Most of the time, it is very important to have mouse movement and clicks captured when you are creating a video tutorial of a game or software. With that, viewers can easily understand the content of the video since the mouse actions are visible. However, it may be hard for you to find a good tool to record mouse movement. This article will show some feasible solutions on how you can capture the movements of your mouse. A free yet practical tool that you can use to record the movement of your mouse is ShowMore, which can record any screen activities such as live streamings, video chats, and online conferences. 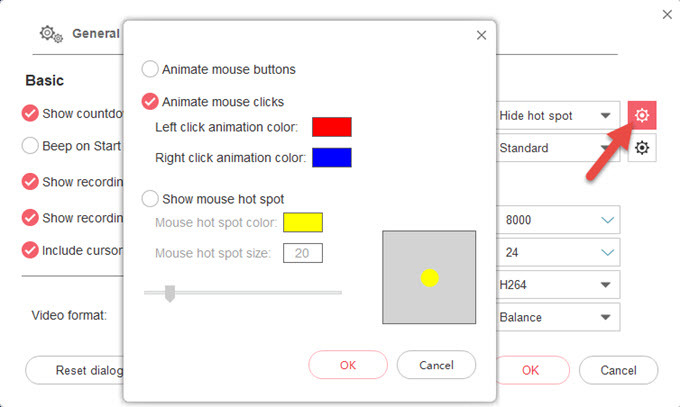 It enables you to animate mouse buttons and change mouse spot color. It also comes with different recording modes such as custom region, full screen, and picture in picture recording. Furthermore, you can do real-time editing while recording if you want to add lines, arrows, shapes, text and so on to the video. Also, it has a video sharing function which allows sharing of videos on YouTube. Here are the steps on how to capture mouse movement using this tool. Head up to your favorite computer’s browser and visit ShowMore official page. From there, click the “Start Recording” button. If there is a window pops up asking “Do you want to allow this app to make changes on your device?”, click “Yes”. Afterwards, you can go to “Options” > “Recording” settings to set mouse styles. Then custom area or select full screen, and hit the red recording button to start recording. If you move your mouse, the mouse activities will be recorded. During the recording process, you can add shapes, line, figures, arrow, and other objects by clicking the pencil icon, and you can easily erase the annotations if you don’t need then again. Once you finished recording, click the stop button to end it, and a preview window will pop up. You can adjust the timeline to crop the recording if you want to. To save it, just click the “Save video” button and it will be saved to your computer. If you want a desktop version and a professional screen recorder that can record mouse activity on your computer, then use ApowerREC. It is a simple yet professional screen recorder that has advanced recording functions. With this tool, you can capture anything on your computer’s screen, including web meetings, gameplay, live streaming videos, etc. 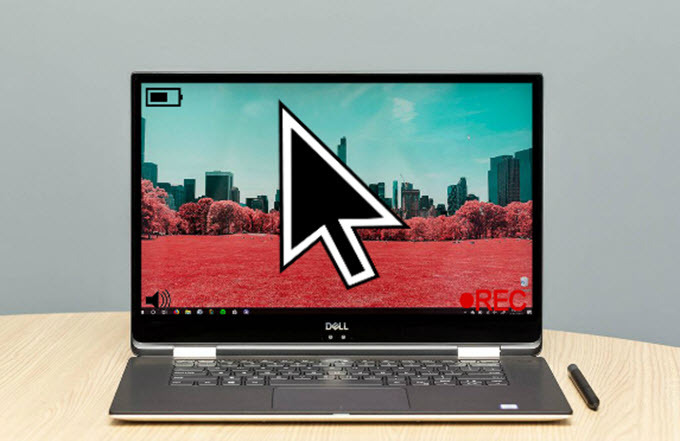 You can include the mouse movement in the screen recording, or just record in “Around mouse” mode, which allows you to record mouse clicks and movements in a certain area. Aside from that, this program has a task scheduler function wherein you can set it to capture your PC screen automatically. Proceed to see how to use ApowerREC to record mouse movement. Launch the program. Navigate to “More” options, go to “Settings”, and configure mouse settings. There you need to check “Show mouse cursor” in order to record mouse successfully. Also, you can set the color of mouse clicks and mouse area. Once done settings, select an area to start recording, then your mouse movement in the selected area will be captured. Besides, to record mouse clicks and movements, you can also click the “Record” button on the upper left of the main panel then tap “Around Mouse” to select a certain area around your mouse to record. If you have done the recording, click the stop icon to stop it. Then the recorded video will be automatically saved on your pc, and you can see the recorded file on the file list. In order to capture mouse movement on your computer, you can rely on these two practical tools. If you’re running out of space on your computer or you don’t want to install software, you can use the online tool, ShowMore; just make sure you have a stable internet connection so that you can launch it successfully. 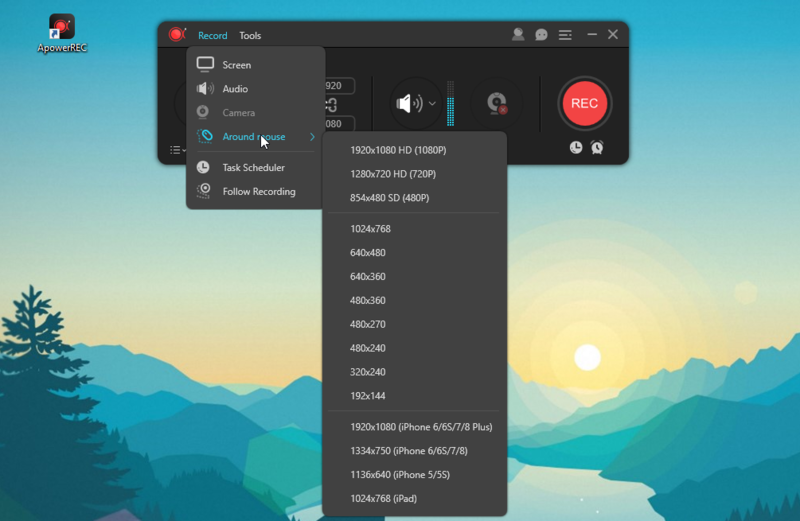 Turn to ApowerREC if you want a professional screen recorder as it has advanced recording functions and has everything you expect in a screen recorder.